This look is just another example of how I love to mix and match! I have had this tiered floral chiffon dress from Japan for years and I recently rediscovered it as I was renovating my closet-room (yes, my closet is actually the second bedroom in my apartment). I paired it with a faux fur vest, a zebra calf hair leather clutch by Lauren Merkin, and these amazing Sam Edelman two tone booties from DNA Footwear. Lastly, I piled on some statement jewelry such as this gorgeous Forever Rose cuff by Samantha Wills. Who says autumn wardrobe is boring? 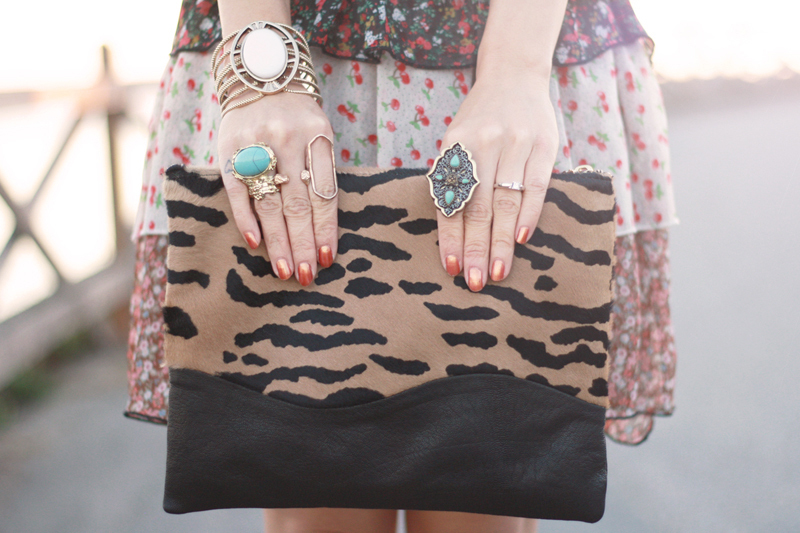 Mix some fur, floral, and animal print and have some fun! Tiered floral chiffon dress by SLY from Japan. 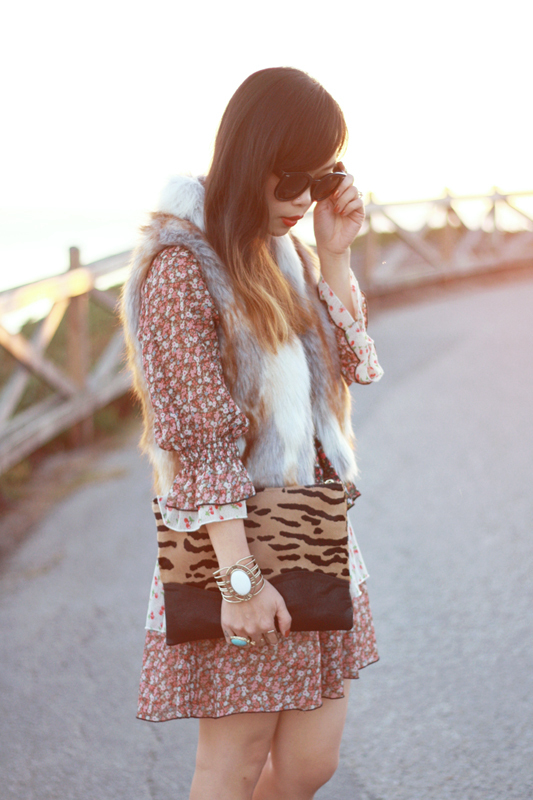 Faux fur vest from F21. Winnie clutch in Camel Zebra Calf Hair c/o Lauren Merkin. Shay booties by Sam Edelman c/o DNA Footwear. Forever Rose cuff c/o Samantha Wills. Manik ring c/o Samantha Wills. Peril necklace c/o Tiffany Kunz. Beautiful! I love the combination of patterns and textures. Seriously in love with this whole outfit. Your booties are amazing!